Stefan Zeniuk is perhaps most known for wielding his creation, the Flame-O-Phone. He is also often part of various rock, and jazz groups in addition to many different types of unique performance art. Stefan wrote an article for the Red Hook Brooklyn Based Star Revue paper for the 10th anniversary of his creation, the Baritone Army. They are known for bizarre and humorous appearances mostly around New York City but have expanded globally as well. 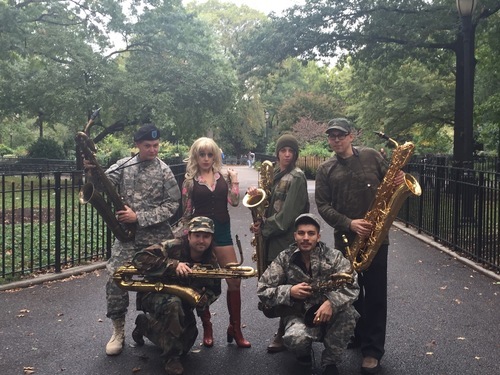 One of their more extravagant projects are their videos “The Honking Dead” a baritone saxophone based parody of the popular show, “The Walking Dead”. Check out his recent articles here. The NYC baritonist, Josh Sinton has an in-depth and informative article in the May 2019 edition of DownBeat magazine as part of the recurring ‘Reed School’ series. Josh goes into great detail about his work to expand his dynamic abilities and also about the inspiration for this endeavor, Harry Carney. My own personal opinion is that with the under-appreciation and stereo-typing of the baritone saxophone, it is more often than not considered a loud instrument, but frankly it should have just as much of a dynamic range as any other woodwind. As such, I’m glad Josh has put this out into the world with a step by step account of how he’s approached working on dynamics. Josh’s writing is very thorough but readable. I’d recommend that any baritone saxophonist looking to round out their abilities check out this article. We have had our first transcription addition in a while. Today’s newest download features a Pepper Adams solo on the jazz standard, “Alone Together”. It comes from the album, Critic’s Choice. Thank you to Itay Raiten for sending this one in! Head to the Transcriptions page to check it out. Pianist Randy Halberstadt has created an ambition new project. It is a set of directories online for professional musicians. He has it divided into different categories, such as vocalists, bass players, brass players, wind players etc. Each listing includes contact info for as well as basic info such as instruments played, genres, skills etc. I have covered Larry Dickson’s first, second, and third, installments in his 4 album project that mirrors the seasons. Today I am happy to say I’ve had a chance to enjoy the latest one from his quartet titled, “Winter Horizons”. Similar to all of the other albums this album is very well done. The playing on the album is great, but what always stands out to me is Larry’s choice of songs and arrangements. There is an especially nice arrangement on Well, You Needn’t. On this disc there is a balanced and enjoyable mix of originals, standards, Thelonious Monk songs, and even a less-known but very enjoyable Billy Taylor original. The format is again a chordless quartet. Being familiar with the baritone saxophone one might immediately think of the Mulligan/Chet Baker quartet. But this album uses alto saxophone instead of trumpet. This instrumentation might lead you to remember the “Two of a Mind” album that Mulligan did with Paul Desmond, but that’s not really the feeling here either. Rick Van Matre has a more modern slightly edged alto sax sound that contrasts nicely with Larry’s more mellow rich sound. Bravo to Larry Dickson for another tasteful and enjoyable album. For those looking to get a copy please contact Larry directly. When I inherited and became curator of JazzBariSax.com over 10 years ago I kept the “style” delineations for all of the great baritone saxophonists in the roster. I don’t like pigeon-holing musicians since it over-simplifies their music in a distasteful way. Also, a lot of them play more than one style and span many eras. However, since this site serves a lot of new-comers to the baritone saxophone I have left them intact to make the journey a bit simpler and easier. There is one style that was left out and I am ashamed to say I have been remiss in addingt until now. There is now a “Latin Jazz” category for this site. Currently there are only a few players there so far (the late Mario Rivera, and the excellent and still thriving Pete Miranda), but I hope to add more soon. PS – I also added a page for jazz baritonist George Barrow. An unknown, but often heard baritone saxophonist with an incredible discography – perhaps most notably splitting baritone duties with Danny Bank on the famous Oliver Nelson Album, Blues and the Abstract Truth. 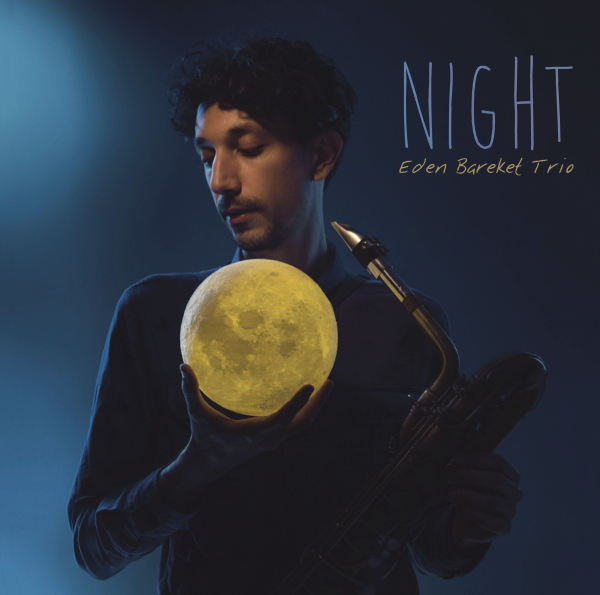 Eden has a very interesting approach to the baritone, and often shares the unusual methods for practicing. He is especially adept at using the upper altissimo range of the baritone, often playing alto or trumpet parts at pitch. The new album is a very playful group of original songs. He has a robust sound, but a fairly gentle approach to playing. There’s no lack of variety on the album despite not including a chordal instrument. This time around Eden used some non-standard saxophone sounds (key clicks, overtone rolls) to create new sounds in a very listenable way. I thoroughly enjoyed his first album, and have really enjoyed the second one so far as well. You can stream his album on Spotify, Apple Music, or purchase it directly from Fresh Sound Records. JazzBariSax.com 11 years and counting! 's indicate bands artist is associated with. † indicates player is deceased.